Back in the year 1913, the French Dada artist, Marcel Duchamp (living in New York at the time), took a urinal, laid it on its back, signed it, "R. Mutt," and named it The Fountain. He then entered it anonymously into the ground breaking Armory Show of that year, much to the consternation of even the most liberal minds in charge. Actually, Duchamp was one of those liberal minds in charge. In any case, he then, as a member of the jury, argued for its inclusion. It was, after some rather heated discussion, eliminated from the show, unceremoniously dumped in a back alley. 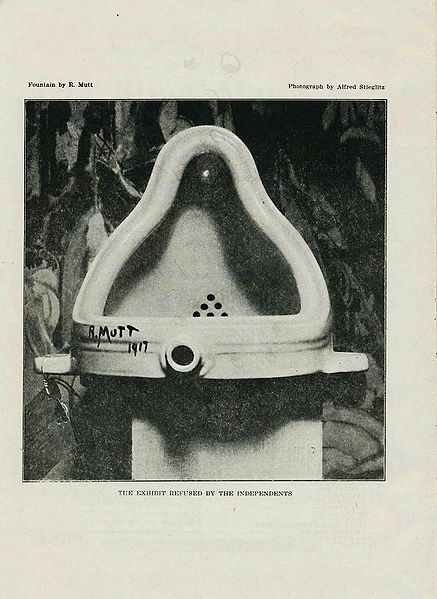 But by that time it had served its purpose (and Duchamp's) in attempting to broaden the definition of what is "art." This is very much the situation when a curator of a museum uses "vernacular art" in an exhibition. As a Co-organizer of the Armory show, Duchamp was both an artist as well as a co-curator. In 1970, the curators of the Museum of Modern Art assembled surveillance camera photos of bank robberies to create a new work of art they titled One Eyed Dicks. Individually, none of them would be art, but together, through the artistic devices of the curator, they made an artistic statement. Vernacular photography is therefore art made, not by the maker of the photographs, but by the user of the photographs (in this case the curator). It would be no different if one of us found some old photos in the family archives and used them in the creation of a collage thereby making art where there was none before. Since the days of Duchamp, artists have been taking "found" objects and assembling them into works of art (especially sculpture). However, the question that arises is, should a curator of a museum take on this role? Should a curator become an artist or should the two roles forever remain separate? A similar quandary arose with regard to the Zapruder film of the Kennedy assassination and the family's attempt to regain its ownership from the federal government. So far as I know, except for its use in Irving Stone's film, JFK (which may or may not count), no one, curator or artist, has ever exhibited this footage as a work of art alone, or as a part of a larger museum exhibit, which would certainly leave suspect the Zapruder family's legal argument that the film is, in itself, a work of art involving a cultural icon. So, this begs the next question, what about a "cultural icon?" 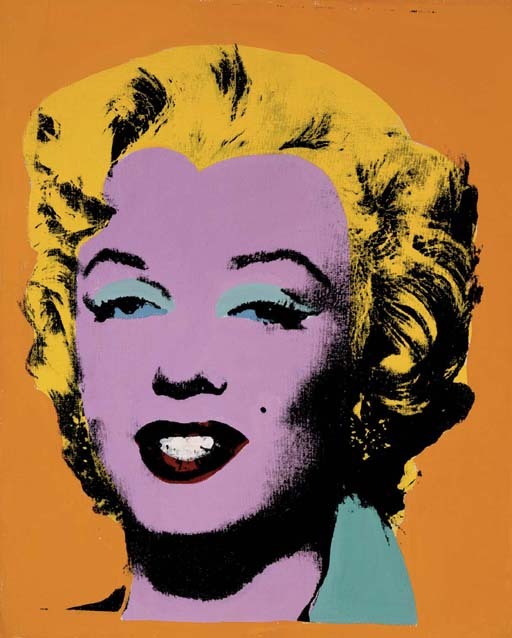 Is a cultural icon a work of art or merely a museum piece? Is the comparison of the Zapruder film to Warhol's Orange Marilyn a valid argument in that, like JFK, Marilyn Monroe is also a cultural icon? Warhol didn't make of Marilyn a cultural icon any more than Zapruder made one of President Kennedy. It's a complex issue. I think the question boils down to the fact that Warhol intended Orange Marilyn to be a work of art (a cultural icon about a cultural icon) whereas Zapruder was merely shooting a home movie of President Kennedy, the cultural icon, simply as a curiosity or keepsake. Therefore, the Zapruder family's legal claim that the film is in any way a work of art seems, at best, to be weak.